Sustainability is the buzzword these days, especially in the UAE. The property developers here are increasingly going for projects that are environmentally sustainable and witnessing a decent demand from investors. 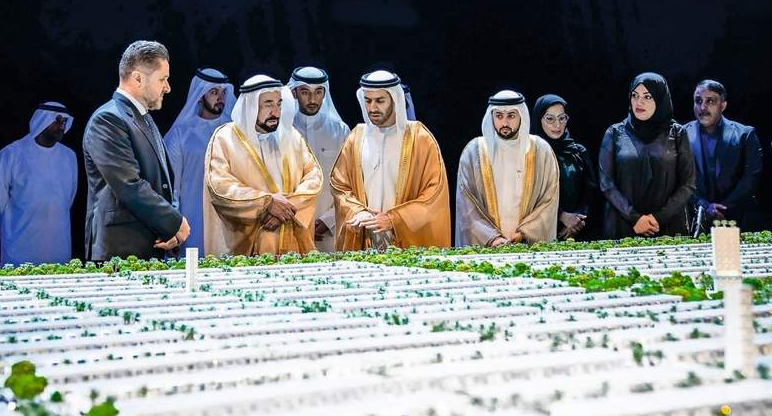 The latest such development to come online is Sharjah Sustainable City Project, which will fully produce its own electricity, recycle water and waste, produce own vegetables at farms and use electric mode of transport within the community, making it a very environment-friendly project. The company said residents will have up to 100 per cent savings on electricity bills, up to 50 per cent savings on water bills and zero service charges for the first five years. Being built by Shurooq and Diamond Developers at a cost of Dh2 billion near Sharjah Airport, the mixed-used project will be spread over 7.2 million sqft and house 1,120 villas, ranging from three to five bedrooms. Set to be completed in four phases, the first phase will be delivered in the last quarter of 2021. The freehold properties have been priced from Dh1.2 million to Dh2.6 million. The project is being launched on similar lines as Dubai Sustainable City, which is also a Diamond Developers project. Dubai is also playing a leading role in sustainable and eco-friendly developments as well as sectors like mobility, environment and other industries. His Highness Dr Sheikh Sultan bin Mohammed Al Qasimi, Member of Supreme Council and Ruler of Sharjah, inaugurated the project. Marwan Al Sarkal, executive chairman, Shurooq, said the development is very competitive in terms of pricing as well as services. “The service charges will be lowest in the market because the Sustainable City will produce its own electricity, recycle its own waste and produce its own food,” he added. “The key purpose is to turn these homes into productive homes in terms of energy and water savings and reducing the amount of waste; the community will produce its own food as well. People will commute in clean modes of transportation and we’ll encourage walkability and cycling as well around the community. There will be zones within the community that will be car free. We are finalising the design and will break ground very soon,” said Dr Muawieh Radaideh, vice-president, Diamond Developers. Al Sarkal said real estate market is saturated in some cities and oversupplied in some areas of the country. “We don’t have oversupply in Sharjah for certain reasons. There is one gated community, Al Zahia, where you can buy the villas. Therefore, we are jointly launching this new community development,” said Sarkal. “Our philosophy is not to oversupply the market. We study the demand and will probably supply less than what is required,” he added. Sarkal said Sharjah Sustainable City is targeting all the nationalities for the project. “We are trying to create a place for everybody,” he added. Sharjah offers investors two different tiers of properties. Some freehold properties are open only to UAE and other GCC nationals while some freehold properties are available to all nationalities. Manika Dhama, head of strategic consulting and research for Cavendish Maxwell, said supply for GCC freehold properties in prime areas like Al Majaz and Al Khan has not seen any significant increase due to limited land availability. However, with an increasing number of freehold properties entering the market, there are definitely more choices for expatriates. “Existing offerings like Al Zahia and Tilal City, and newer products from Ajmal Makan and Arada are providing more diverse property options, including land plots, townhouses and student accommodations, thus increasing investment opportunities in Sharjah’s real estate sector,” she said. Dhama said with new projects either handed over, or approaching handover schedules, and aggressively priced to attract investors and long-term residents, buyers have plenty to choose from. “Investors previously looking at Sharjah now have attractive options in Dubai, Ras Al Khaimah and Abu Dhabi as well. Until demand and supply realign, the market will continue this phase of correction and adjustment and competitive pricing,” she added. “Sharjah, like Dubai, will continue to attract tourists and business travellers, who will need apartments. But villas offer lower yields in the short term. They will appeal to investors and end users with more long-term prospects. However, considering the aforementioned options available in other emirates, particularly with some developments in Dubai offering more options on aggressively priced villas, the demand for villas in Sharjah could well remain soft,” she added.